The breadfruit tree is fast growing and can reach 20 m in height although most varieties are less than 8 m. The trees have many spreading branches, some thick with lateral foliage-bearing branchlets, others long and slender with foliage clustered only at their tips. The leaves are evergreen or deciduous depending on climatic conditions, grow on thick, yellow petioles are ovate, 25-90 cm long, 20-50 cm wide, deeply cut into 5 to 11 pointed lobes. They are bright-green and glossy on the upper surface and dull, yellow and coated with minute stiff hairs on the underside. The fruit is oblong, 10-45 cm in length and 10-30 cm in diameter. The thin rind is patterned with irregular 4- to 6-sided faces. Some fruits have a harsh, sandpaper-like rind. The rind is green at first, turning yellowish-green when ripe. Breadfruit is a staple food in many tropical regions. 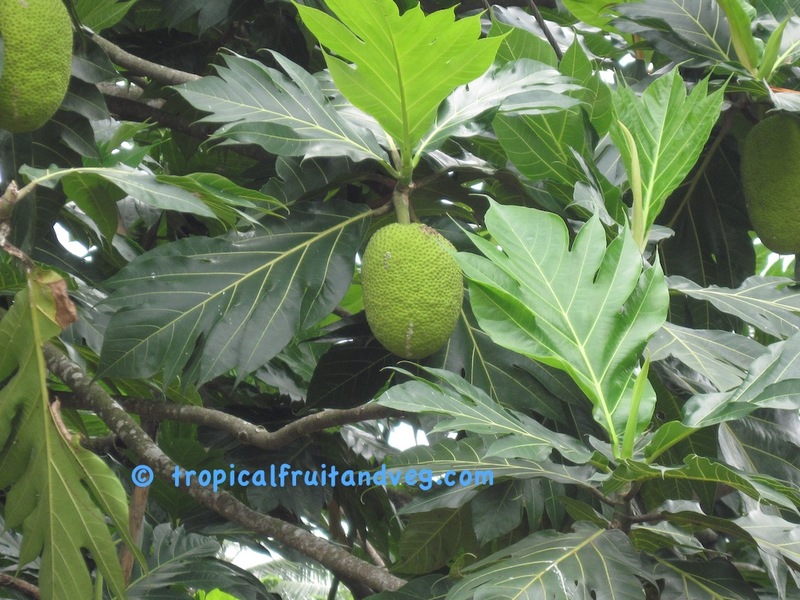 Breadfruit are very rich in starch and can be roasted, baked, fried or boiled. When cooked, the taste of moderately ripe breadfruit is described as potato-like, or similar to fresh-baked bread. Very ripe breadfruit becomes sweet, as the starch converts to sugar and can be eaten like a fruit. The wood from the breadfruit tree is used to make furniture in some countries. 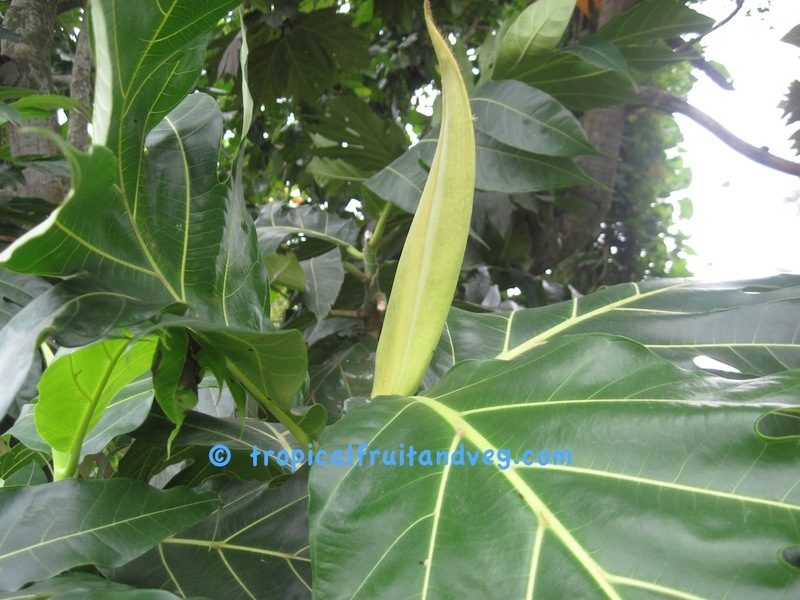 Breadfruit leaf is believed to lower blood pressure and is also said to relieve asthma. Crushed leaves are applied on the tongue as a treatment for thrush. The leaf juice is employed as ear-drops. A powder of roasted leaves is employed as a remedy for enlarged spleen. Toasted flowers are rubbed on the gums around an aching tooth. 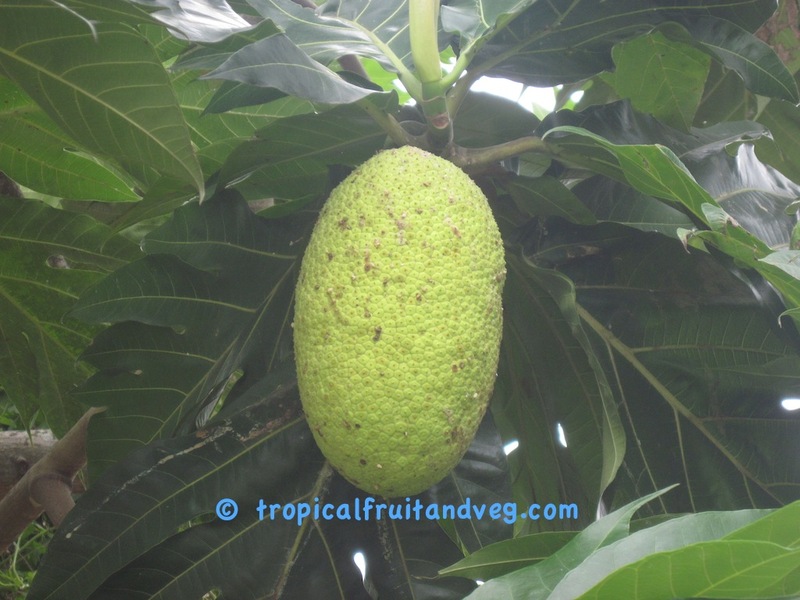 Breadfruit is ultra-tropical and grows best in a temperature range of 15�C � 37�C, an annual rainfall of over 200 cm, and a high relative humidity of 70 to 80%. 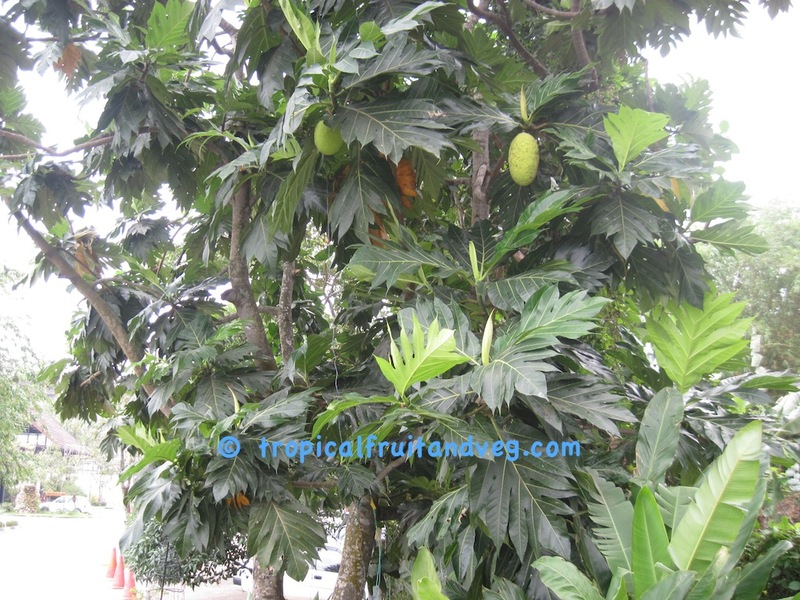 Breadfruit tree must have deep, fertile, well-drained soil.